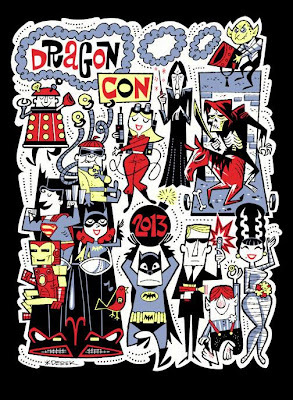 I’m heading out for a week at Dragon Con beginning Thursday so posts will be a little light. If you’re at the convention, please stop by and say hello. You can find me at any of the panels posted below and hanging around the hotels into the wee hours of the morning. I will try to post photos to social media as I’m able. Please follow my exploits on Facebook, Facebook Author Page, Twitter, and Instagram. I look forward to seeing you at the convention. Description: Pulse-pounding adventure is just the beginning. Our group of all-star pulpsters will take a look at all things pulp. Description: Underwater. In the future. A talking dolphin. It's not hard to fathom why you should celebrate with this show's league of fans. Description: From bionics to Bigfoot, celebrate the slow-motion superheroes. 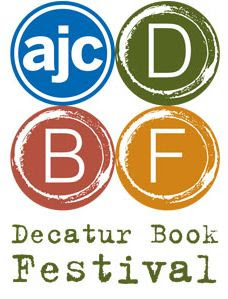 Description: A roundtable discussion of working writers who utilize podcasting to distribute and promote their work. Description: Strap yourselves into the Geek Seat and be part of this live podcast performance. 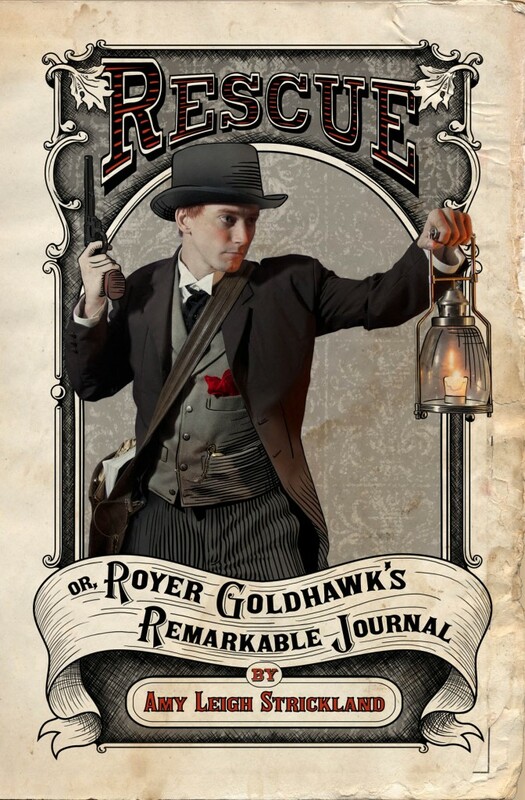 Description: The writers of pulp and speculative fiction discuss the wide range of stories to tell: from hollow earth, sword and sorcery, and so much more. Description: Discussion of the TV series Person of Interest. Description: Pulp fiction has been enjoying quite a resurgence recently. Description: Shows that celebrate their love for all things Pop Culture Sci-Fi and Fantasy, Comics and more. It's LIVE. Description: Discussion of the TV series Arrow. Description: Earn major flag points at this tribute to the cartoon, the toys, and the MASS Device. 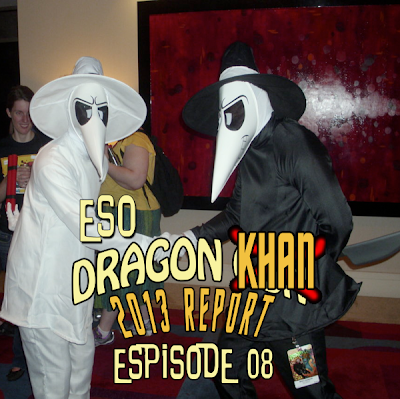 Description: Join members from the shows of the ESO Network, when they discuss all things Dragon Con, and their experience from this year show. You never know who’s going to show up. On this episode, the ESO crew attempts an epic theater crawl to review three films, starting with Shaun of the Dead, advancing to Hot Fuzz, and concluding at The World’s End. 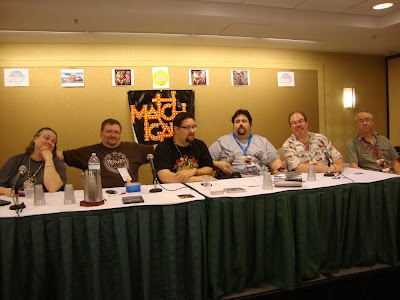 The six friends (who had no idea one another existed while they were in high school) undertaking this quest are none other than Mike Faber, Mike Gordon, Jennifer Hartshorn, the award-winning author Bobby Nash, Ashley Bergner, and Alex Autrey. Yarp! 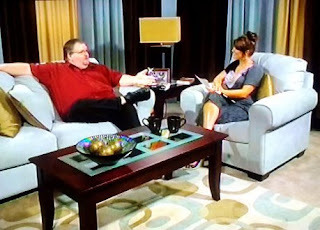 Amidst all the madness, we also find time to feature author Amy Leigh Strickland in The Geek Seat. Plus the usual Rants, Raves, Khan Report and Shout Outs! 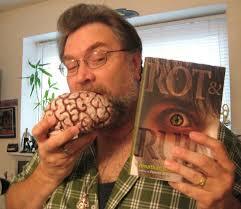 named a Top 10 Horror Writer. The entire ESO Network crew heads back to Atlanta for the biggest geek celebration of the south. That’s right, it’s Dragon Con time again. 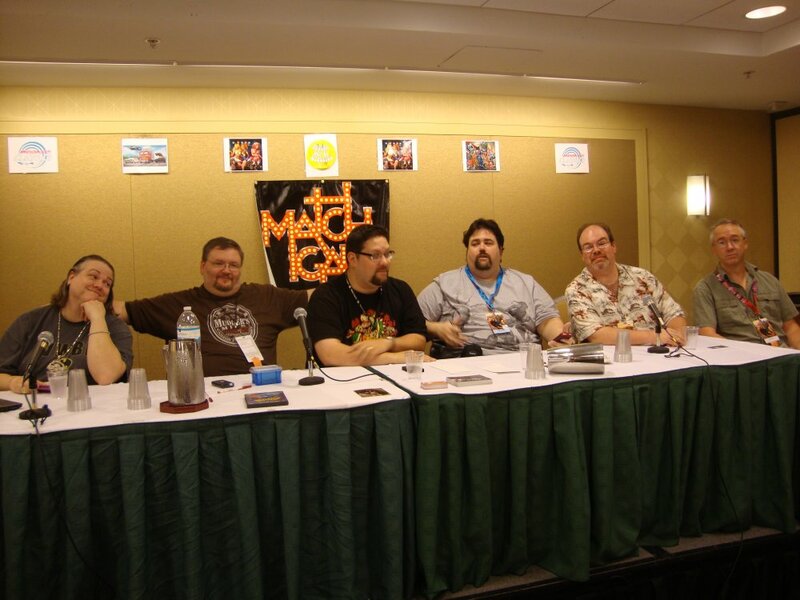 The ESO Network personalities will be all over the convention with panels, signings, readings, tables, and podcasts. Lots and lots of podcasts. Join us next week as we record an episode of the Earth Station One podcast featuring guests from every podcast on the ESO Network. It’s going to be a fun time and anything can-- and probably will-- happen. You would think that would be big enough, but we’re also serving up the usual Rants and Raves, Khan Report, The Geek Seat, Shout Outs, and we may even have a special guest or two stop by and say howdy! You get all this and more on the next exciting episode of Earth Station One. Join us. ESO would love to hear from you. 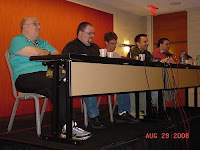 Share your favorite Dragon Con memories at esopodcast@gmail.com, www.esonetwork.com, Facebook, Twitter, or Google+. We love hearing from you. We might just read yours on the show. 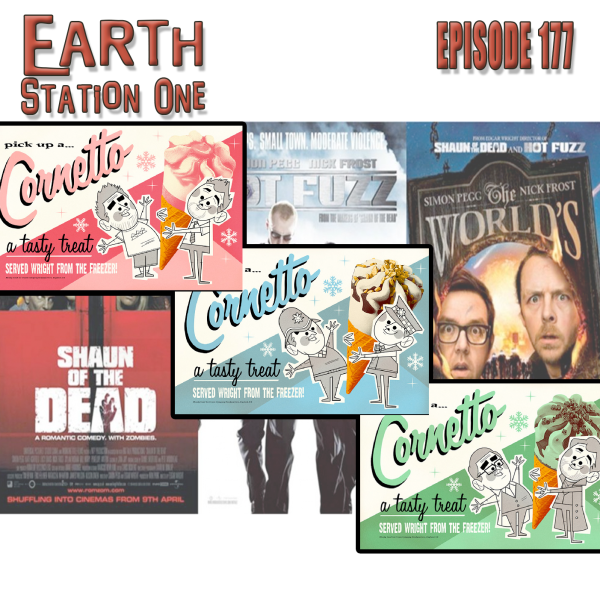 You can also find the Earth Station One podcast on iTunes and Stitcher. ALABAMA PHOENIX FESTIVAL RISES AGAIN ON VIDEO! Check out the cool new video for a fantastic convention that I love, the Alabama Phoenix Festival. I look forward to heading back there next year. You can also catch a few glimpses of me and my books in this video. You can watch the video above or on YouTube. NIK POLIWKO ROUGHS UP RICK RUBY! 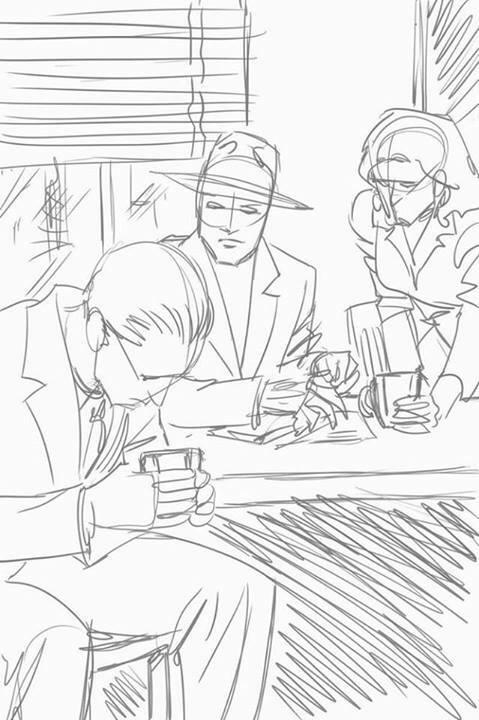 Illustrator, Nik Poliwko shared a new rough sketch for an upcoming illustration for the upcoming The Ruby Files Vol. 2, a companion to the illustration at left. 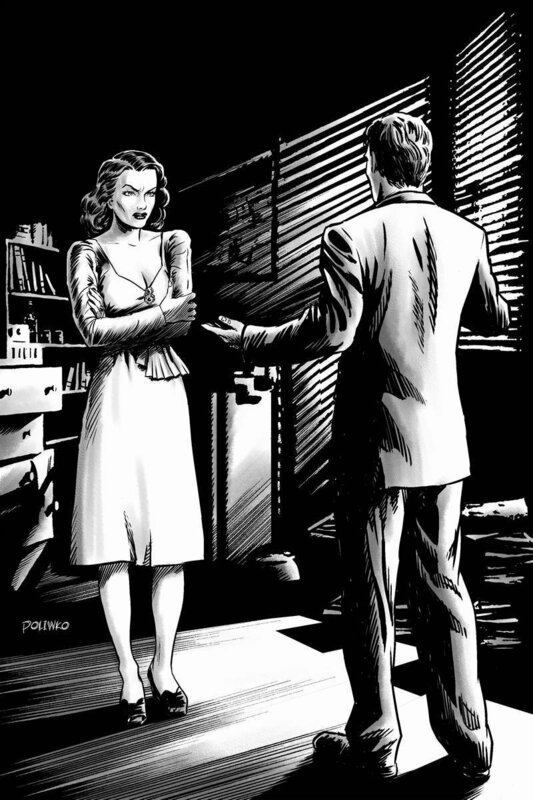 The award-winning The Ruby Files returns for a second volume of pulpy detective yarns in 2013 from Airship 27 Productions. The Ruby Files Vol. 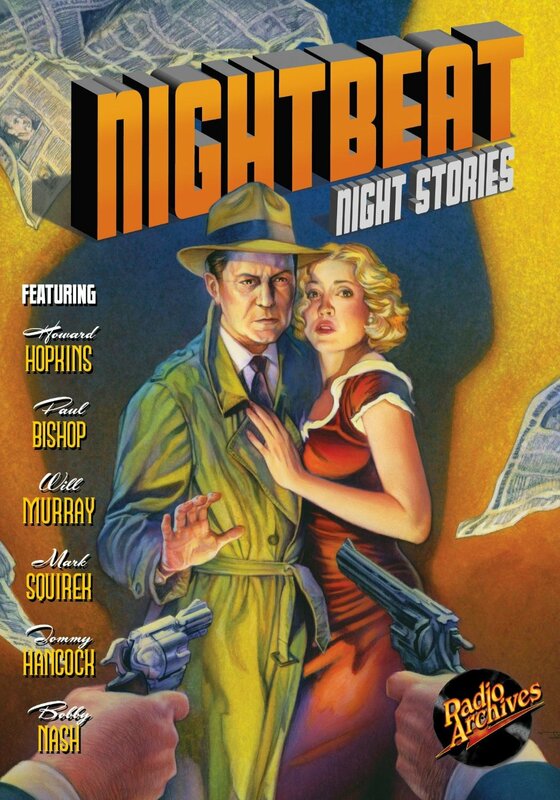 2 features stories by Ruby Files creators Sean Taylor and Bobby Nash and authors Alan J. Porter and Ron Fortier. Interior illustrations provided by Nik Poliwko under a cover by Mark Wheatley. Rob Davis returns as book designer. Keep watching http://rickruby.blogspot.com for more The Ruby Files vol. 2 news as soon as it becomes available. 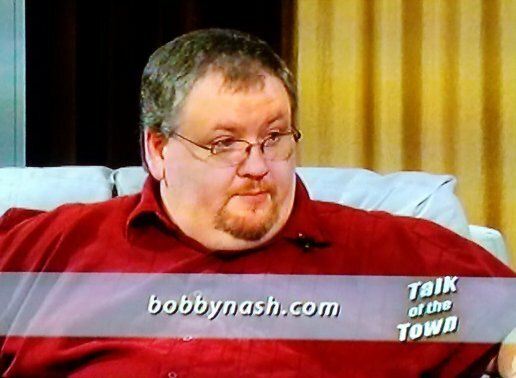 Talk of the Town #224 w/ Creston Mapes & Bobby Nash from Winder Television on Vimeo. 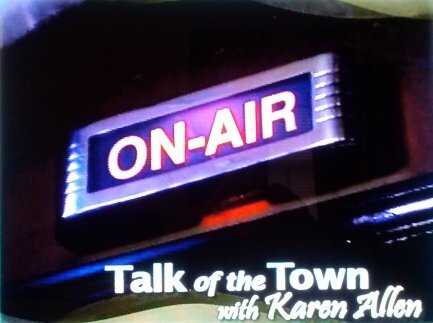 I was interviewed on Talk of The Town, a local interview show filmed in my community. Over the course of the twelve and a half minute interview, the show's host, Karen Allen and I talked about writing, Evil Ways, and Fight Card: Barefoot Bones. The video has now been posted to the internet. You can watch it above or here. 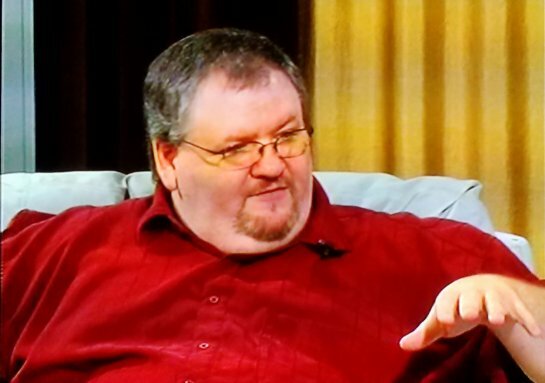 I am the second interview, following author Creston Mapes, starting around the 12 minute mark. I'd like to thank host Karen Allen and producer Christopher Childs for having me as a guest on the show, which you can learn more about here. 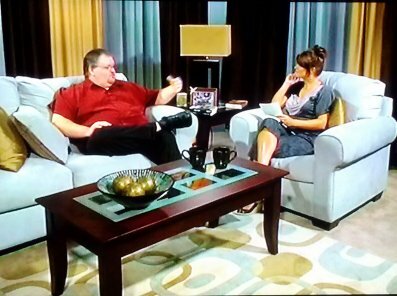 This was my first TV interview and I was a little nervous, but Karen and Chris made me feel very at ease. I had fun. I just need to wear less bright colors, stop talking with my hands, and stop saying "you know" so much. 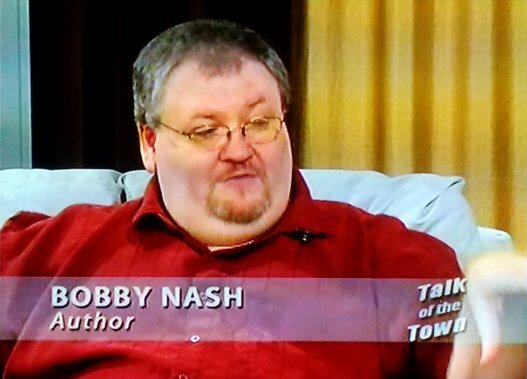 I hope you enjoy my appearance on Talk of The Town. "I'm the Ghost with the Most, Babe." Part 8? WOW. I am stunned and humbled. Thanks so much for all of the great questions and for stopping by to read the answers. I hope they've been helpful. Please, keep sending those questions along. I love 'em. If this keeps up, I might have to give this feature its own tab in the header above. One of the perks of being a writer is getting to meet some of the most interesting people. 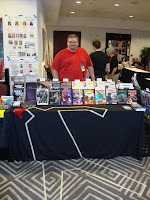 Whether it is at conventions, store signings, through the Earth Station One podcast, writer’s groups, on social media, and sometimes just from people I run into on when I venture out of the cave I call my office, I get asked questions. Sometimes they are about writing or what I’m working on. Other times they’re out of left field. I thought it would be interesting to share some of them along with a few answers. Regardless of where they come from, here’s a few of the latest. Don't worry. 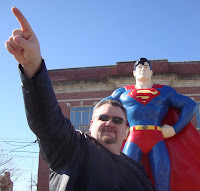 I got this one, Superman. Check out Sometimes I Get Asked Stuff Part 1 here, Part 2 here, Part 3 here, Part 4 here, Part 5 here, Part 6 here, and Part 7 here. 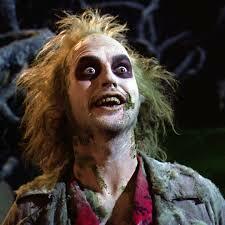 Q: What's your Favorite Michael Keaton Movie? Beetlejuice. Followed closely by Batman, I think. Q: Are you on Pinterest? A fun con panel. Talkin' comic books. Q: Who is your favorite Superman bad guy? That’s a tough one. It’s probably either Brainiac or Darkseid. Q: What methods do you use to promote your books? good promotional ideas, send them along. Q: How does one go about finding a good Beta reader? Usually, my beta reader is someone I know that I know will be honest with his or her critique. I don't use a site or service though. Q: Do you edit as you write? 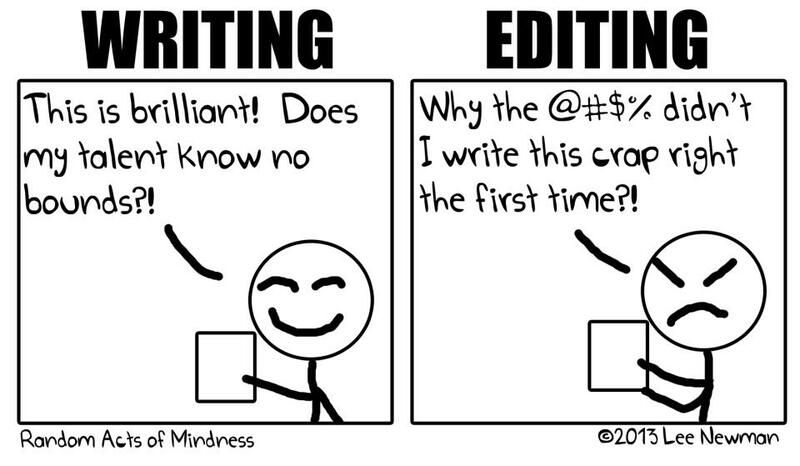 Or are you the kind of writer who needs to get the first draft down before doing any editing? A little of both. At the beginning of each day, I’ll read over the previous chapter I wrote and may make an edit or two at that time. After I’m finished, I give the story another edit. I love setting up at cons. Q: Are Facebook Author pages worth it or not? I can't decide whether to create one or not. I have one. You can find it here. I have people who follow it that aren't on my friend list on my personal page. Please stop by and give it a "Like!" Q: You do conventions. Do you do a lot of business (sell books) at conventions? 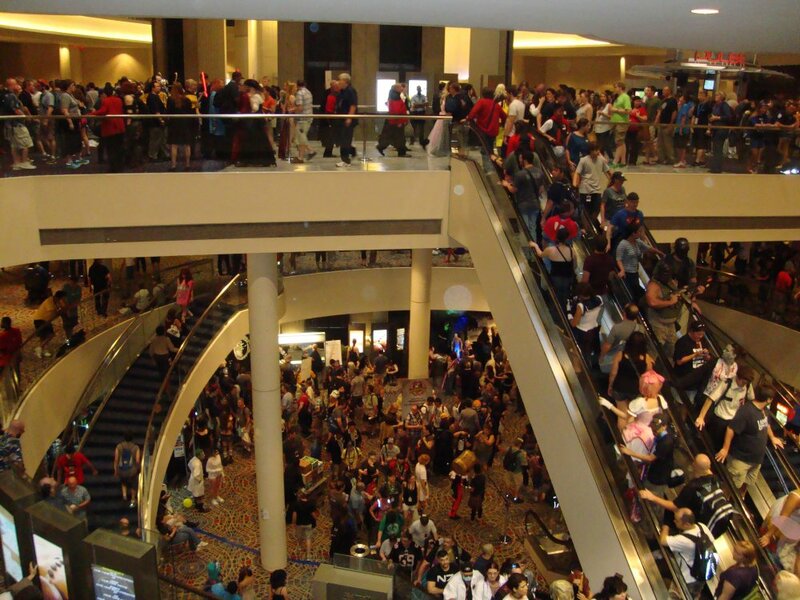 How or where do you find conventions to attend? Selling at cons is hit or miss. At some cons you sell well while at others, not so much. It's a real toss up, but overall I think attending conventions is worth it. I make sure I hand out postcards, business cards, etc. and usually see a sales spike the week after a con. 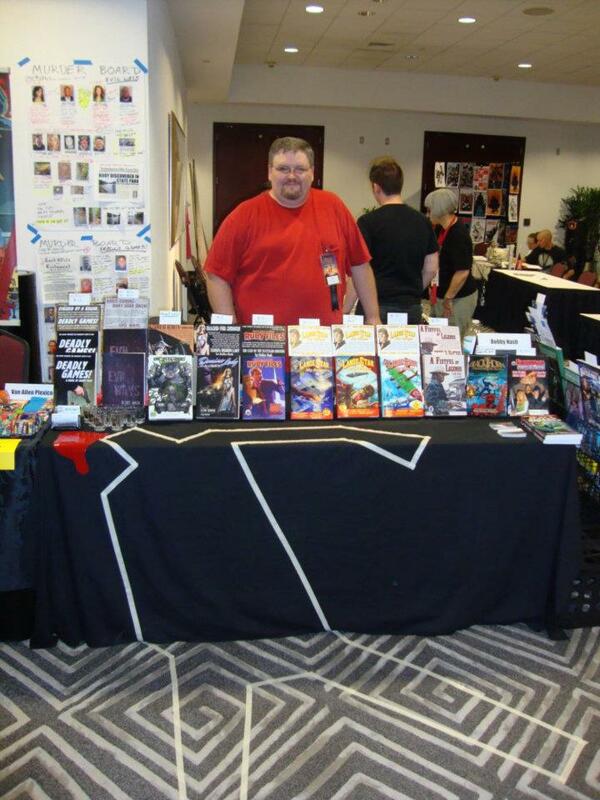 For me, cons are part of my marketing and promotion plan. I love meeting fans, other creators, and vendors. I also love doing panels. you" still reminds me of this scene. Do a search for conventions (plus your area) and see what's there. The bigger shows are a bit harder to get on as a guest. See what the requirements are and pick the ones that work best for you and try it out. You just have to make sure the travel, table (sometimes), and hotel expenses are worth it to you. Q: Your Favorite Michael Madsen Movie? 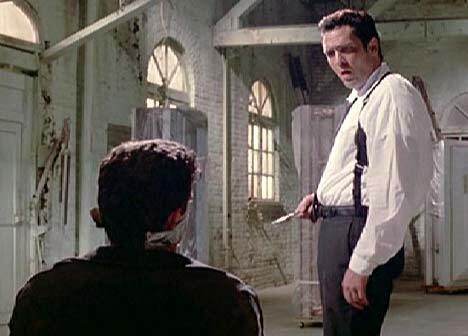 Hard to beat Madsen’s turn in Reservoir Dogs. Q: Are you a "healthy" author? Go to the gym regularly or take daily walks? Eat healthy snacks while you write? 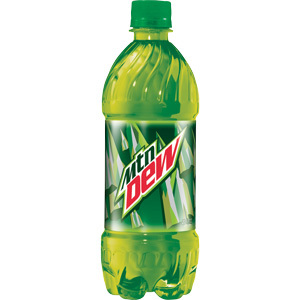 Drink green tea and water all day? Take workshops and classes periodically to improve your craft? Not nearly as much as I should. I take walks, but when I get busy working I keep pushing it off to do later, which never seems to get there. I need to improve my time management in this area. I also need to lose some weight. Q: Your Favorite Elmore Leonard Novel? I have to admit that I've not read nearly enough of them, which I'm slowly correcting. 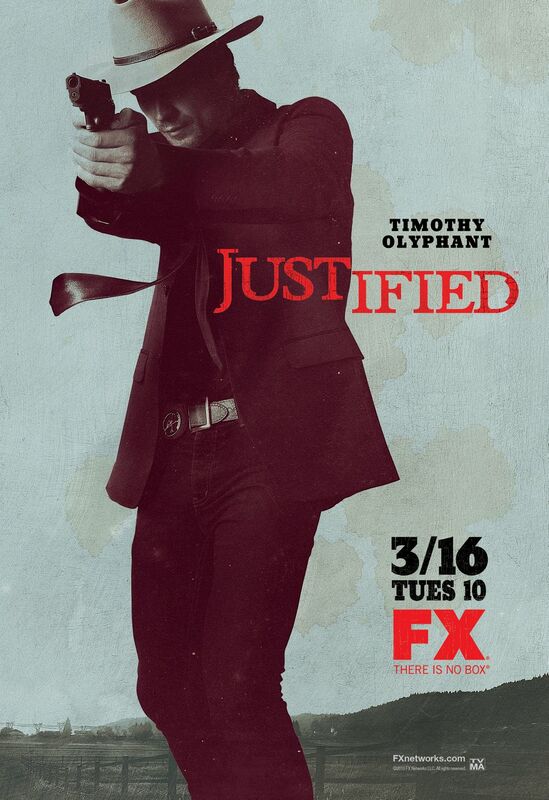 Raylan is next on my list as I love Justified. I have enjoyed Karen Sisko's story as well. Q: Do you use bookmarks when you read? If so, what do you use--a traditional bookmark, Post-its, anything near by? If not, how do you note where you left off in a book? I just grab whatever’s handy. Usually, it’s one of the leftover promotional postcards from one of my books. Those things are all over the place around here. 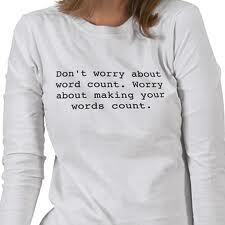 Q: Do you keep track of your word count each day? Just wondered what you average. I generally average between 1,000 and 2,000 per day on fiction. That doesn't count things like press releases, emails, blog posts, updates to All Pulp, ESO, my various websites (here, here, here, here, and here), etc. which I also do on an almost daily basis. If I counted those, the number would no doubt double. Q: Where do you go for relief? Writing can be stressful and terribly demanding. 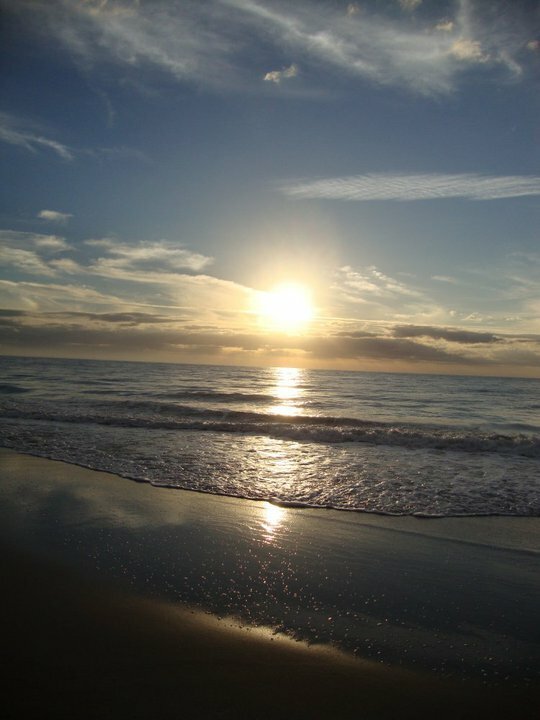 What is you favorite place to get a breath of fresh air? A movie? The Park? Under the bed? Into the refrigerator? I am long overdue for a trip. I sometimes just have to get out of the house. Even just going out for a walk or a drive helps. 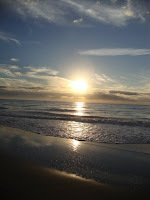 I love the beach, very relaxing, but I don’t live close to one so I don’t get there very often. Q: Your Favorite Mickey Rourke Movie? I really liked The Wrestler with Sin City a close second. 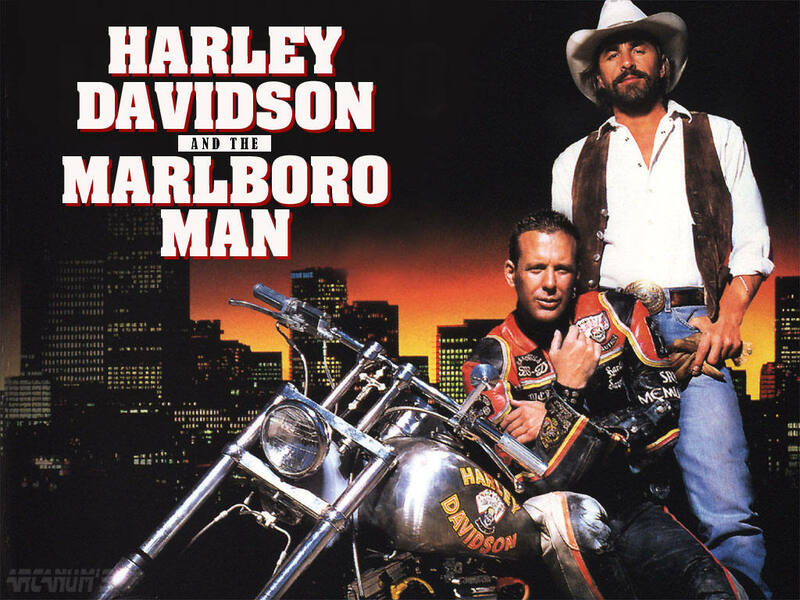 Favorite guilty pleasure movie: Harley Davidson and The Marlboro Man. Q: Do you like variant covers? I don't generally buy variant covers on my comics. If there are variants, I pick the one I like best. I don’t buy every single variant. Some readers do and that’s okay. It’s their prerogative and their money. I think giving readers a choice between two covers is okay. Some publishers take it too far though with 10 or more variants per issue. They aren’t going away though. Bottom line: if you don’t like variant covers, you don’t have to buy them. Variant covers is not just comic books. Novels and DVDs do it as well, although not to the degree of comics, but I have seen novels with multiple cover images depending on where they are released. Q: If you were going to have an audio recording made of your work, who would you want to have do the voice-over? 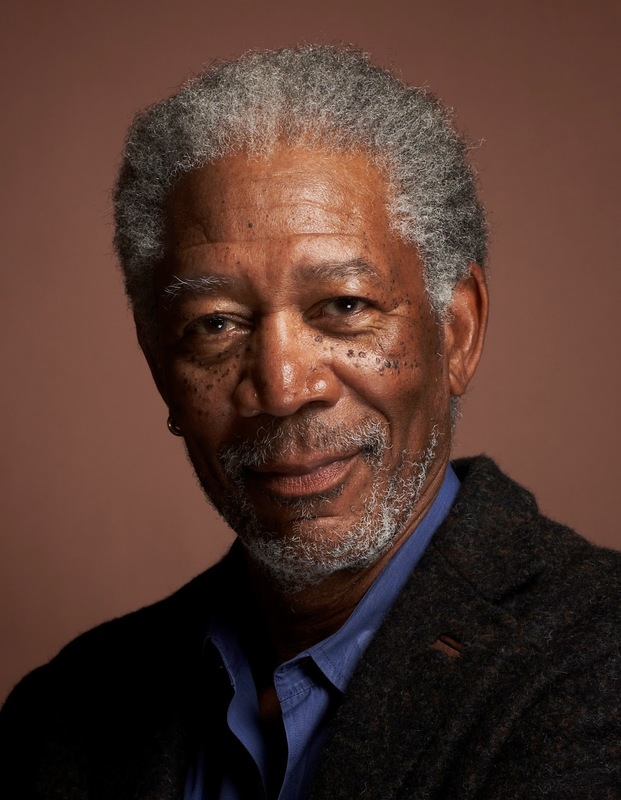 Doesn't everything sound better when read by Morgan Freeman? Q: What "go-to" phrases in scripted entertainment do you think have become so hackneyed that it's time to call for a moratorium? “Let’s do this” and “That's what we do” are the first that come to mind. I admit, I am guilty of using one of them. 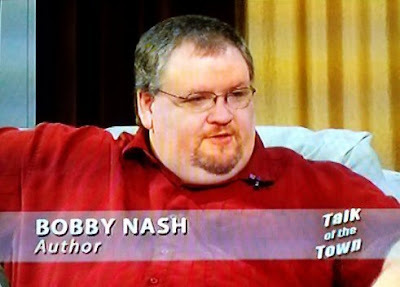 Q: At what point in you life did you realize that you wanted to be an author? Did it change your life direction? 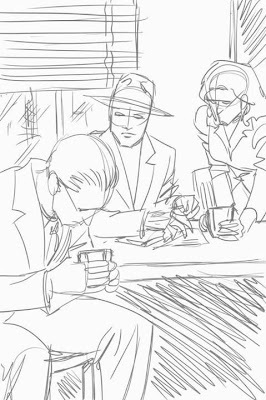 I started out wanting to draw comic books and started writing stories so I would have something to draw. I then started writing more and drawing less as work started to open up for me. Then, one day I decided to write a novel and from there everything changed. Q: While writing a story have you ever gotten a good ways in and figured out that it just wasn't working and had to start over? How do you look at a situation like that, disappointing or good lesson? they got to that point. 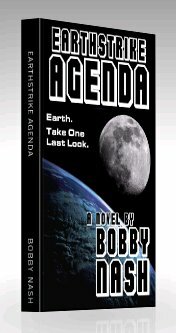 It read more like a history lesson than a novel and it slowed down the narrative so it had to go. Evil Ways went the opposite route. I felt the opening wasn’t strong enough to hook readers so I wrote a new opening after I was finished. 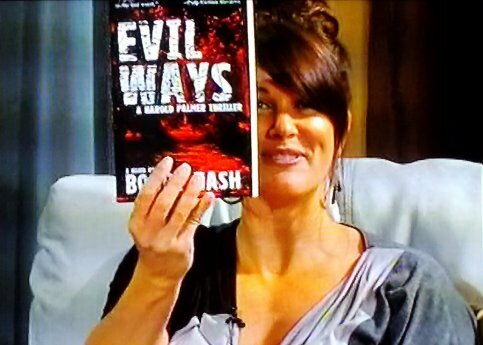 So, the first thing you read in Evil Ways was the last thing I wrote. The new opening starts out (literally) with a bang and gave me a way to plant seeds for Evil Intent, which I hope to have finished by the end of the year (crosses fingers). 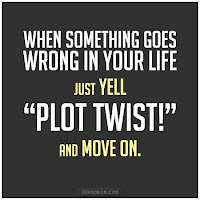 And sometimes you just get a really good idea for the story; perhaps some twist or plot point that makes the whole story better. 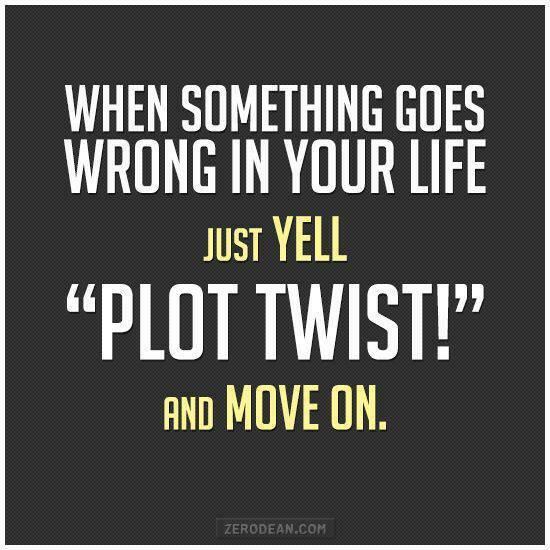 Then you have to go back and do rewrites to accommodate that change. 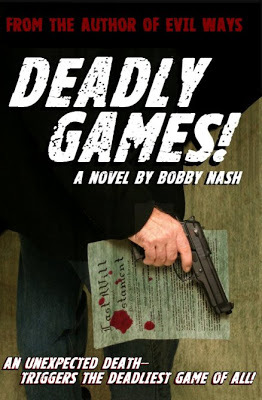 There is a point in Deadly Games! where one character says something that makes a small, almost throwaway piece of another character’s back story become so much more important than originally intended. 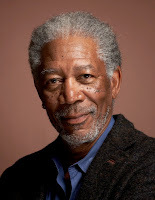 It added depth to both characters and increased tension in the scene, but did not change the overall story. Q: What is your favorite television series finale episode? 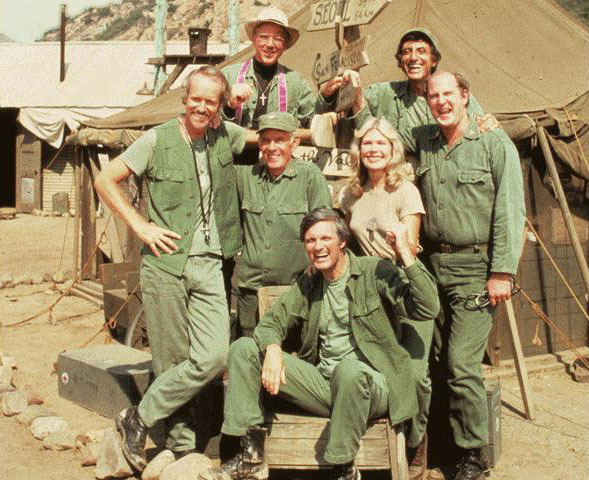 One of my all-time favorite shows. Great question. 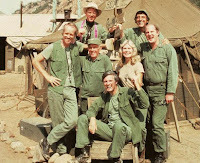 It’s hard to nail down one favorite, but using the criteria of one I rewatch more than any other, I’ll go with M*A*S*H’s finale, “Goodbye, Farewell, and Amen” which is one I can watch time and again. I admit, the last 30 minutes still chokes me up to this day. Here are a few other series finales that really worked for me. episodes, which are fantastic. We even get a happy ending… before we get the sad one. Star Trek: The Next Generation-- TNG, on the other hand, offered up a nice little movie for their finale that can be watched on its own and features some of Trek’s finest tropes like time travel, alternate realities, and Picard and Q facing off against one another. This is a fun one. It also ends happily, sending the crew off to big screen adventures. Babylon 5-- Another one that’s hard to watch solo because it requires so much knowledge of what has come before it, but it is a bittersweet and touching hour of television that lets us say goodbye to characters we’d grown to love over the previous 5 years. 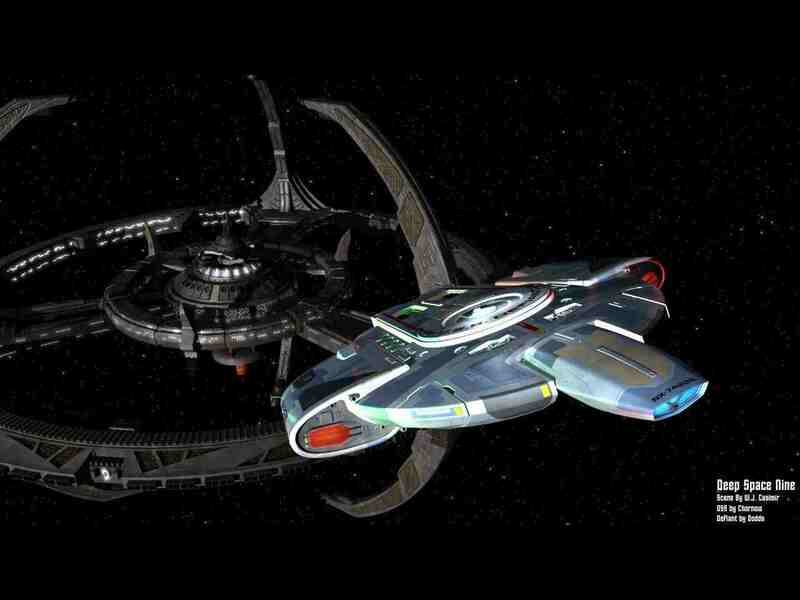 ST:DS9-- my favorite Star Trek series. Cheers-- This one was a big deal when it aired and I was a fan of the show. 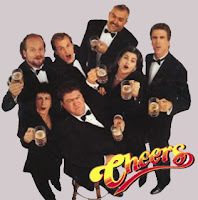 It ended on a rather low key scene that told us that come the next morning, Cheers would once again be open for business. 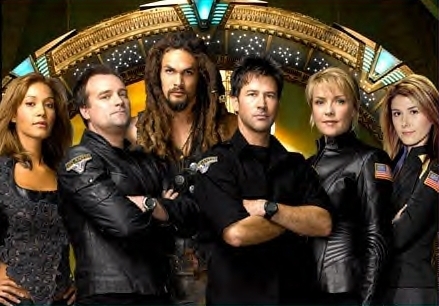 Stargate: Atlantis-- Like Cheers and TNG, Atlantis ended its run with the promise that tomorrow the characters would continue on to a new adventure. It was a fun, action-packed hour of TV. At the time, Atlantis was planning to go on to movies until MGM’s financial issues derailed that plan. Newhart-- This one makes a lot of people’s list for the same reason it does mine. I didn’t see it coming. Sadly, I don’t remember much of the actual episode, but the final shot, that surprise ending that none of us saw coming, really stuck with me. Magnum p.i.-- This show actually had two series finales. The first one saw the title character die and walk off into the afterlife before the network decided to bring the show back for one more shortened season. The finale there ended with the characters heading off in new directions and was a nice send off to these characters we loved. More recently, I thought Leverage wrapped up their series quite nicely, even though I would have much rather had them go on for another season or two. Geez, putting this list together made me realize that I watch a lot of TV. The ESO podcast did an episode discussing our favorite series finales. 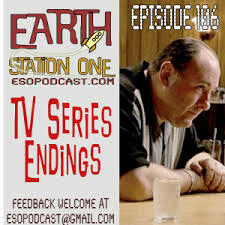 If you’re interested, check out Earth Station One episode 106 (released way back on April 11, 2012 - might be time to revisit this topic) here. Let's do this again real soon. Last week I was interviewed for the talk show, Talk of the Town for TV channel WTV, which is the local station for Winder, GA, the city where I live. Over the course of the twelve and a half minute interview, the show's host, Karen Allen and I talked about writing, the importance of finishing a project, Evil Ways, writing challenges, and Fight Card: Barefoot Bones. Also on the show was author Creston Mapes, who talked about his book, Fear Has A Name. at 11 p.m. EST tonight. I snapped some photos straight off the TV with my phone. They aren't the greatest quality, but they did show me that I should not wear a burgundy shirt on TV. Wow, but it looks really red. Fair warning, I talk with my hands so expect a good amount of gesturing. 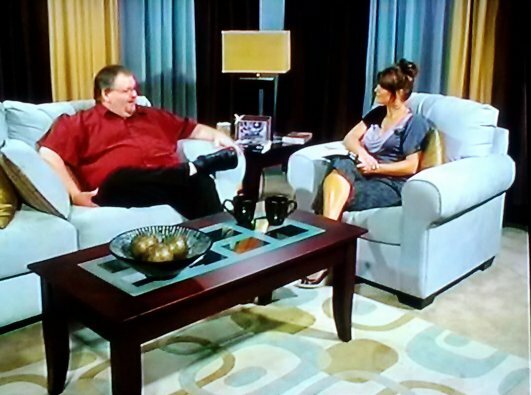 Thanks again to Karen Allen and Christopher Childs for having me on the show. The big event we’ve been waiting for all year is less than a week away! We’ve packed as much content as we could into this final pre-Dragon Con episode for you to listen to as you’re packing your costumes and other assorted geek items. Mike Faber, Mike Gordon, Darren Nowell, Mary LouWho, Nikki Rau-Baker, and the award-winning author Bobby Nash, are joined by Media Relations Second Samantha Douglas to review some last minute news and tips. Plus, we also chat with Mary Moline (director of the Whedonverse Track), Derek Tatum (director of the Horror Track), Thom Trainor (director of the Comic & Pop Artist Alley), and friend of the station Rebecca Perry (staff on Tolkien Middle Earth Track). We hope to see you at the con! We want to hear from you! 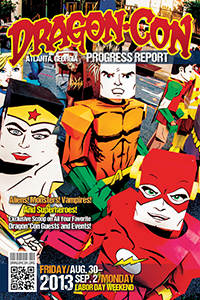 If you are part of Dragon*Con in any way (including just attending the show), we want to know about your weekend! Drop us a line at line at esopodcast@gmail.com, www.esopodcast.com, Facebook, Twitter, or Google+, or call us at 404-963-9057 with your comments. 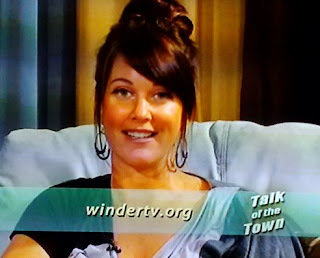 We just might air yours on the show! 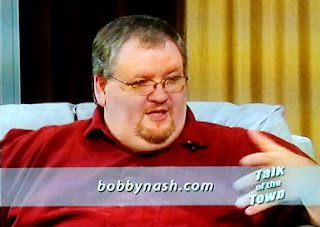 You can see Bobby Nash's Dragon Con panel schedule here. NOW AVAILABLE-- FIGHT CARD: BAREFOOT BONES! IT'S A CONSPIRACY, I TELL YA! A CONSPIRACY!